Among the treasures of my wine cellar are several vintages of Ferarri-Carano’s Bordeaux-style blend called, fittingly enough, Trésor. The flagship wine of this Sonoma County producer, Trésor is based on a heavily predominant, albeit varying, factor of Cabernet Sauvignon infused with the whole kitchen sink of Bordeaux grapes. The 2010 Trésor – 80 percent Cabernet Sauvignon, 10 percent Malbec and 5 percent Merlot with additives of Cabernet Franc and Petit Verdot – represents this perennially brilliant wine at its luxurious best. More than merely Bordeaux-styled in concept, the 2010 Trésor’s combination of layered fruit, ripe tannins and crisp acidity lends it the native character of its classic model. My first encounter with Ferrari-Carano’s grand wine goes back to 1991, and I still have bottles aging from 1996. What has always drawn me to Trésor is its balance between opulence and complexity, companion qualities again on display in the 2010 vintage. Like its predecessors, the 2010 Trésor shows great aging potential. Winemaker’s notes on the company website indicate the 2010 should evolve gracefully over the next 15-20 years. I suspect that is a conservative projection. 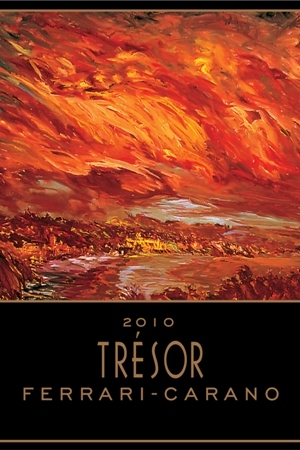 But what’s unusual about the majestic 2010 Trésor ($51) is its immediate drinkability. Decanted for a couple of hours, it rounds into creamy richness. The color itself is inviting, a deep purple that’s followed by a bouquet of black raspberry and currants with a hint of fig. On the palate, this full-bodied wine offers heady flavors of blackberry pie and chocolate. And the finish lingers. While it is fruit-focused, it is not egregiously fruit-forward – thanks in part to a distinctive acid frame and just enough tannin to give the wine some grip. Those latter qualities also make the 2010 Trésor an ideal accompaniment to hearty meat dishes, from steaks and lamb to game. Ramey Winery Napa Valley Claret 2012 ($37). Bordeaux, in the British lexicon, has long been known as claret, and Ramey applies this elegantly evocative term to its sophisticated Bordeaux blend. The Ramey 2012 Claret – 70 percent Cabernet Sauvignon and 24 percent Merlot with splashes of Malbec, Syrah, Cabernet Franc and Petit Verdot – is a bright, delicious wine whose rather light color belies its deep, concentrated flavors. Red fruit rules here, notably plum and raspberry. There’s much about this wine that’s deceptive, in a magical way. While the Ramey Claret’s pleasure seems direct and uncomplicated, upon reflection one comes to appreciate its subtlety, the precision of its acid structure and its silken texture. It’s also one of those wines that mysteriously keeps refilling your glass; well, maybe not a refill but, sure, just a skosh more, thanks. 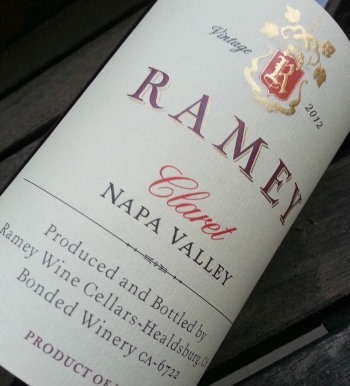 The 2012 Ramey Claret ($38) is a perfect summer red – as versatile and engaging as it is smartly made.